We had a fantastic time photographing this Ecclesall Woods Wedding which took place at the JG Graves Woodland Discovery Centre in Ecclesall Woods, Sheffield. On the way to the wedding reception at Woodthorpe Hall in Holmesfiled, Derbyshire we took a diversion to the Surprise View overlooking the beautiful Hope Valley in Derbyshire, a wonderful place when the weather is fine and a magnificent place to see this wonderful valley spread out before you. The wedding ceremony for our wonderful couple took place in the The JG Graves Woodland Discovery Centre & Beech Clearing, Ecclesall Woods, Sheffield. This is a lovely setting for a wedding on the outskirts of Sheffield in these ancient woods and the first time we had been lucky enough to photograph a wedding here. We are based just a few minutes walk from these woods and the chance to photograph in one of our favourite places to spend free time was just too bigger opportunity to miss. We are lucky to be based so close to Derbyshire, only a matter of a few minutes drive from this wonderful, beautiful area of the country. 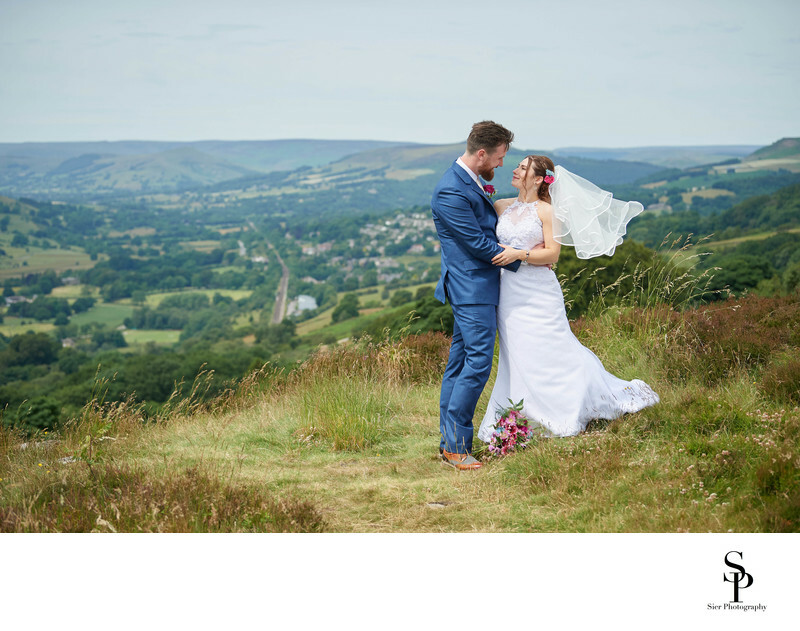 We have photographed several weddings in Derbyshire and are always pleased to visit some new venues with our couples to capture their special day in this wonderful part of the country. 1/4000; f/3.5; ISO 200; 70.0 mm.